Back to Durlston this morning, where in spite of breezy conditions we ringed another 60 birds. Highlight undoubtedly was this Wheatear we caught at dawn. The Northern Wheatear has one of the most remarkable migration of all passerines. It breeds all right across the Palearctic and also in eastern arctic Canada and Alaska. All the populations winter in Africa, which means that those from eastern Canada and Greenland make a non stop migration across the Atlantic before entering Africa, whilst those from Alaska travel the entire way across Asia to arrive in the same area. The species is very rare in the continental USA in spite lying so much closer to the Nearctic breeding grounds. The birds we see in autumn are probably from the UK / Scandinavian population, although the larger, longer winged birds are likely to be from Greenland. 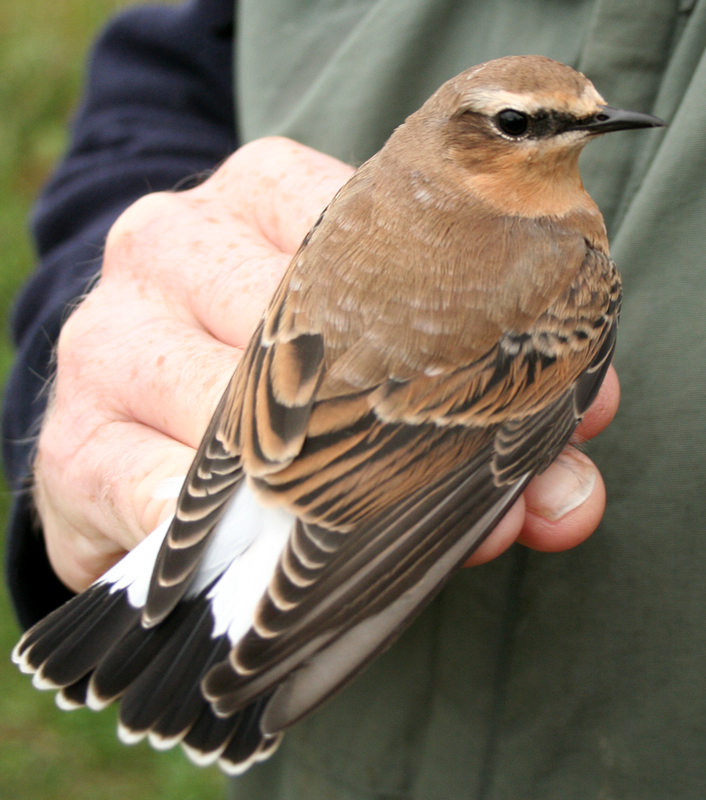 The first Wheatear we have ringed at Durlston. 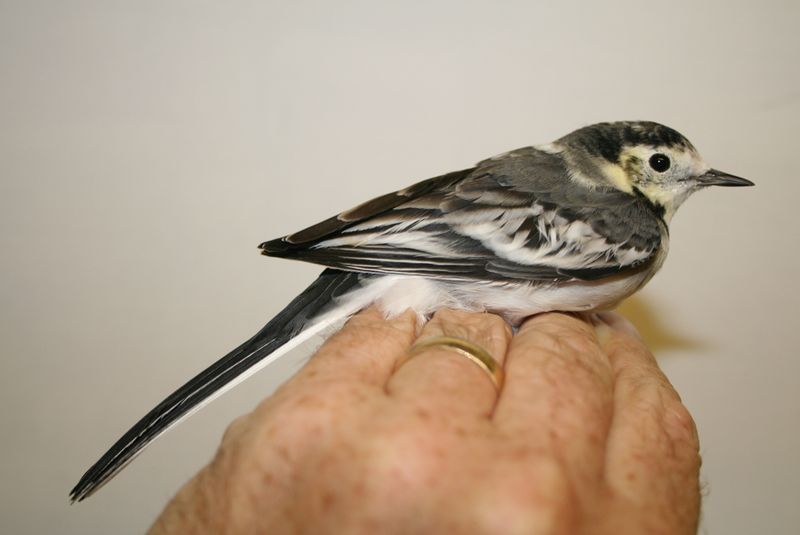 In the evening I helped set up and catch 40 Pied Wagtails as they came to roost at Lytchett Bay. A late Hobby entertained us as we were waiting. 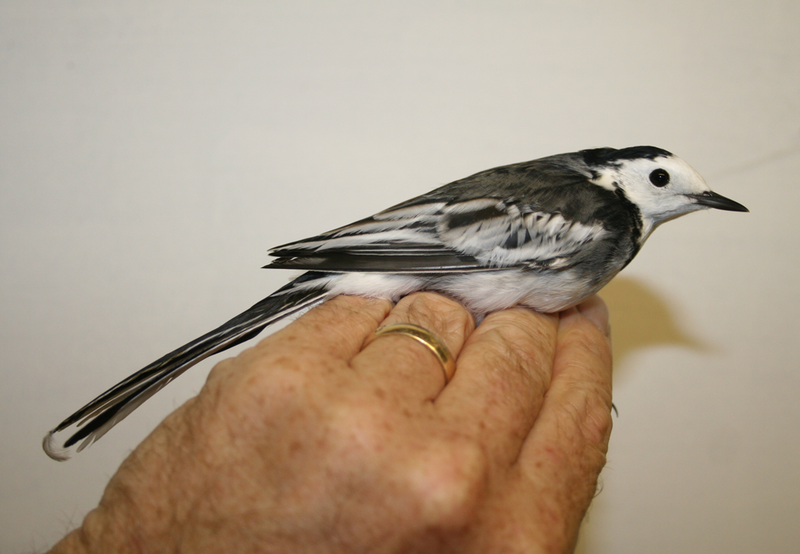 Ist year Pied Wagtails are very variable, the extent of white feathering on the nape of this individual is unusual. 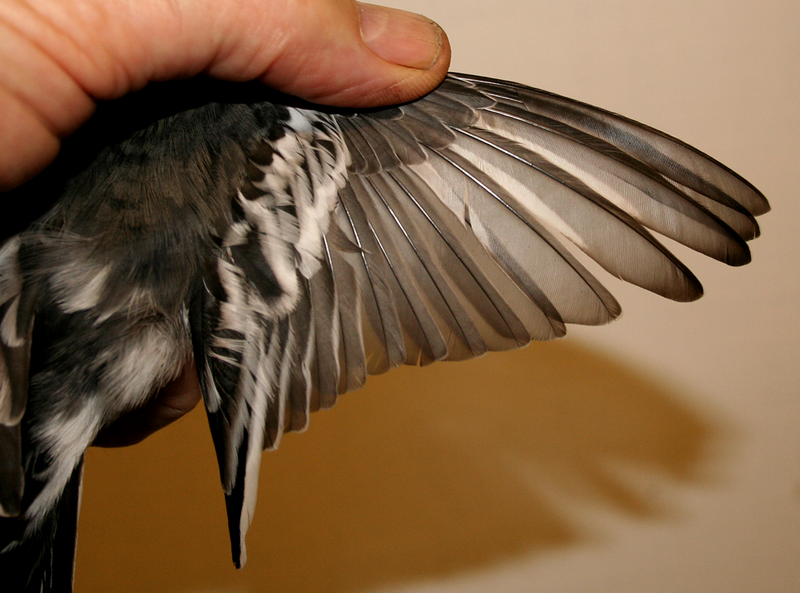 ..... but the contrast between the greater and primary coverts and the greyish primaries show that is a first year bird, the longer wing length helps to confirm that is a male.